We highly recommend Janet Emmert, an experienced and caring Reiki practitioner, who will customize a course of therapy to meet your individual needs and intentions. Working on all levels of healing; mind, body and spirit, Janet will provide the optimum setting for your body to release negative blockages often created by pain and injury while opening pathways with gentle healing. Reiki is a viable therapy on its own for the treatment of the conditions described. Visit www.JanetEmmert.com for more information about appointments and pricing. Reiki is defined as a gentle, hands-on, completely non-invasive healing practice which promotes balance and well-being, the restoration of harmony, and provides deep relaxation and a sense of clarity. Its name comes from the Japanese words “rei,” which translates into universal, and “ki,” which means vital life force energy that flows through all living things. 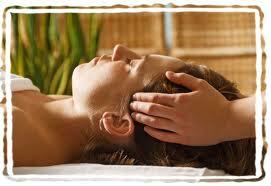 Reiki involves the light touch of the practitioner’s hands on or slightly above the patient’s body. Mind-Body Medicine is being practiced at hospitals across America, including the Cancer Treatment Centers of America, Cleveland Clinic, New York’s Sloan Kettering Cancer Center and Penn Medicine in Philadelphia. These are in a growing group of hospitals that recognize the efficacy of integrative medicine in the clinical setting and on positive patient outcomes. At Sloan Kettering, Reiki is used to treat depression, anxiety, fatigue, insomnia, stress, nausea, weight gain and loss, pain, muscle tension, and headache. Cleveland Clinic also treats all types of cancer, fertility issues, Parkinson’s disease, psychological illnesses, fibromyalgia, pre - and post-op patients, chronic pain, digestive problems, and stress-related diseases with Reiki. Reiki is not specific to any particular types of diseases or conditions. Because it works on the entire self – mind, body and emotions – and because it is universal life force energy, it may be successful in all types of physical, emotional, mental and spiritual healing, depending on your needs.